DESCRIPTIONDo you like helping U.S. Intelligence Community agencies implement innovative cloud computing solutions and solve technical problems? Would you like to do this using the latest cloud computing technologies? Do you have a knack for helping these groups understand application architectures and integration approaches, and the consultative and leadership skills to launch a project on a trajectory to success? Do you want to own cutting edge technology, solve new problems that didn’t exist before, and have the ability to immediately see the impact of your successes? 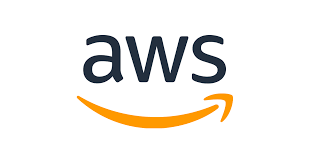 Amazon is looking for Systems Engineers to deploy, support, sustain, and grow the software systems that build, scale, monitor, secure, manage, and automate one of world's largest networks. The systems team will drive the stability and sustainability of these next-generation systems and discover innovative ways to scale and operate them reliably as we expand. In this role, you will work with systems and software engineers to create proactive engineering mechanisms that will enable your team to manage the health of a number of distributed specialized Linux server fleets and the software stacks that run on them. You will deploy and monitor the systems and automation to ensure that regional tooling is operating optimally. You will utilize trends and metrics to identify opportunities for improvements within existing frameworks, tools and processes to continuously improve systems. The ideal candidate will be expected to perform high quality systems deployment, operations, best practices application, optimization, internal/external customer interactions, and produce appropriate technical documentation and reports. He/she will be responsible for systems functionality, performance, and configurations issues. He/she will demonstrate sound knowledge of Unix and Scripting concepts and theory, and have experience participating in systems deployment and support. He/she will have a proven track record of success in driving complex issues to resolution autonomously and/or collaboratively. A love for working with new technologies and pushing the envelope on existing technology is required. - Calmly and quickly diagnose and fix critical systems failures in high pressure situations? - Manage and grow innovative, production-quality tools to solve real operational problems, in Python, Perl, Ruby, Shell, Java, etc.? - Investigate complicated technical issues scientifically and thoroughly, and assist in fixing them so they don't come back? - Understand how a modern, cloud-hosted application stack works from top to bottom? - Know how to provide technical solutions to real business problems in a global organization? The Team: We're a small, scrappy, startup team inside Amazon Web Services working on software that solves critical operations challenges for supporting highly specialized private clouds. AWS Platform Operations team is growing, and we need engineers who move fast, are capable of breaking down and solving complex problems, and have an incredible drive to get things done. Engineers at Amazon work on real world problems on a global scale, own their systems end to end and influence the direction of our technology that impacts hundreds of millions customers around the world. If you've ever wanted to show the impact one motivated developer can have and you want to work in an environment that will expose you to the absolute bleeding-edge of what's possible technologically, this is the position for you. The candidate should be open to new challenges, be extremely good at multi-tasking, prioritization, possess innovative, creative, and self-directed qualities, and be a great team player. If you’re a customer-focused Systems Engineer who would like to contribute to a critical success story, we would love to hear from you! You will be expected to challenge and be challenged, to create and to innovate. We are inventing and supporting real things for real people – not presentations. This must excite you. You must be a builder. We pride ourselves on being multitalented and flexible, and we look for the same in our potential candidates. · Proficiency in one or more of Perl, Python, Ruby, Bash or Java. · Strong project-management skills, sense of ownership, urgency, and drive.